248. Union coupling. 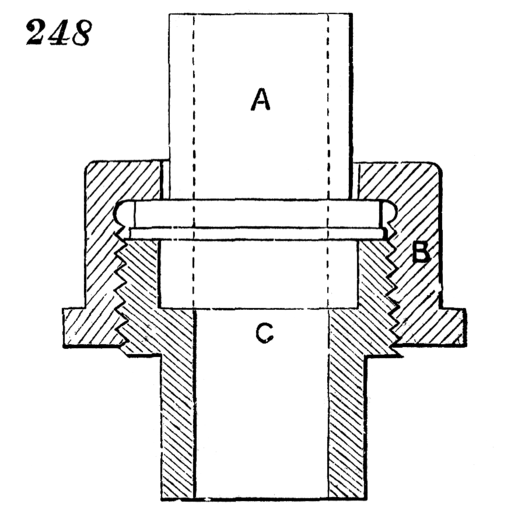 A is a pipe with a small flange abutting against the pipe, C, with a screwed end; B a nut which holds them together.